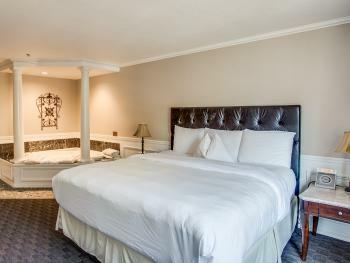 Deluxe room with two queen beds dressed in high thread count sheets and down comforter. 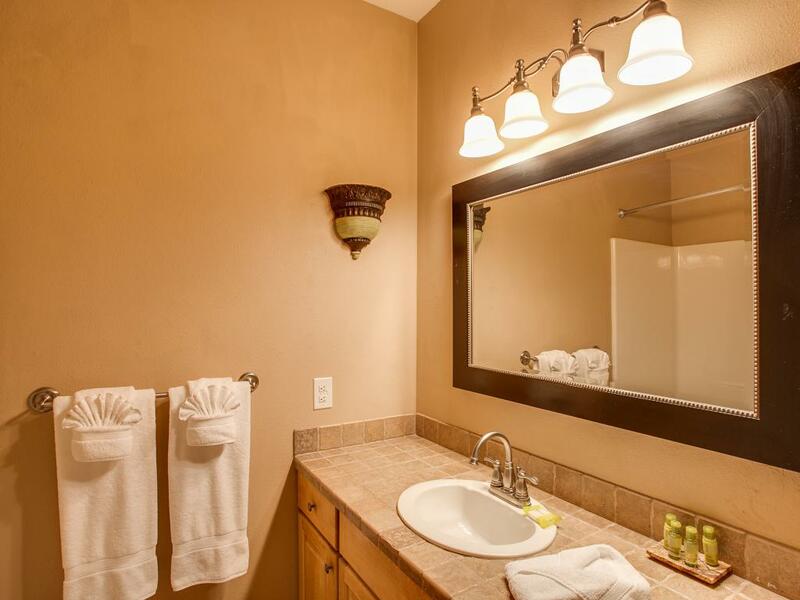 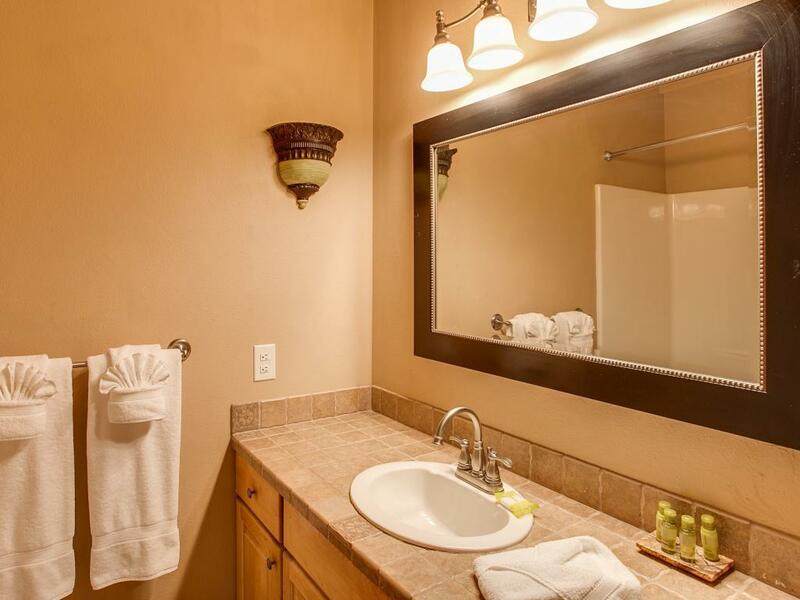 Flat screen television, Microwave, mini refrigerator and coffeemaker is featured in this room. 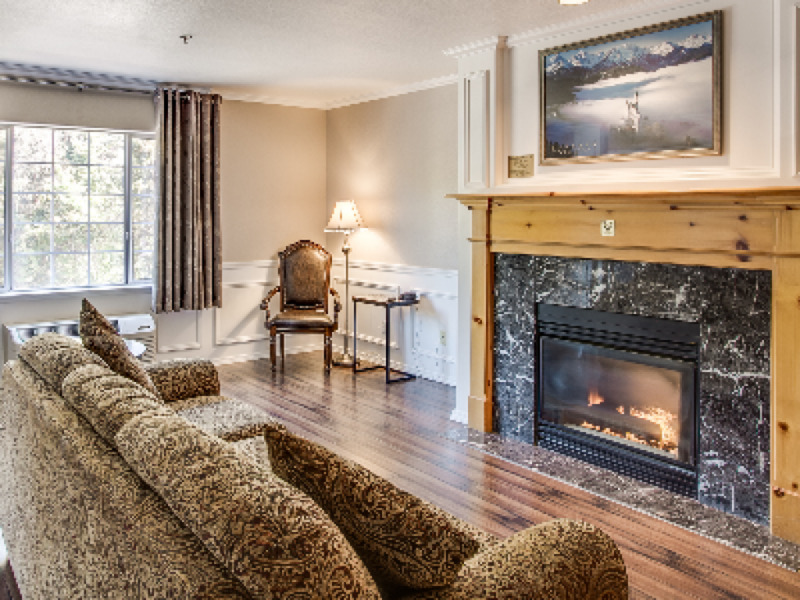 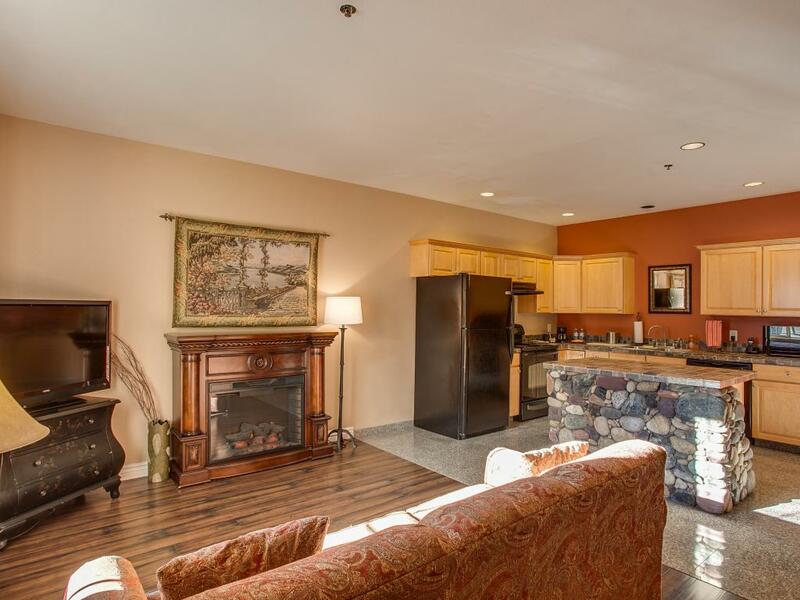 This spacious suite offers a living room featuring a gas fireplace, flat screen television and sofa. 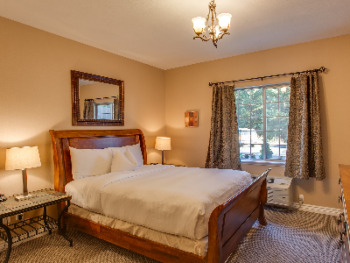 French doors connect the living room to the bedroom where you'll find an over-sized tub with jets, king bed dressed in high thread count sheets and down comforter, plus flat screen television. 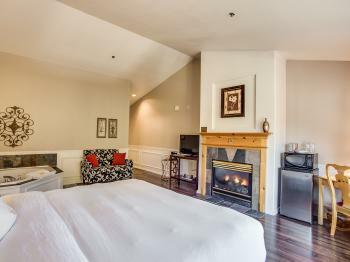 Microwave, mini refrigerator and coffeemaker is offered in this room. 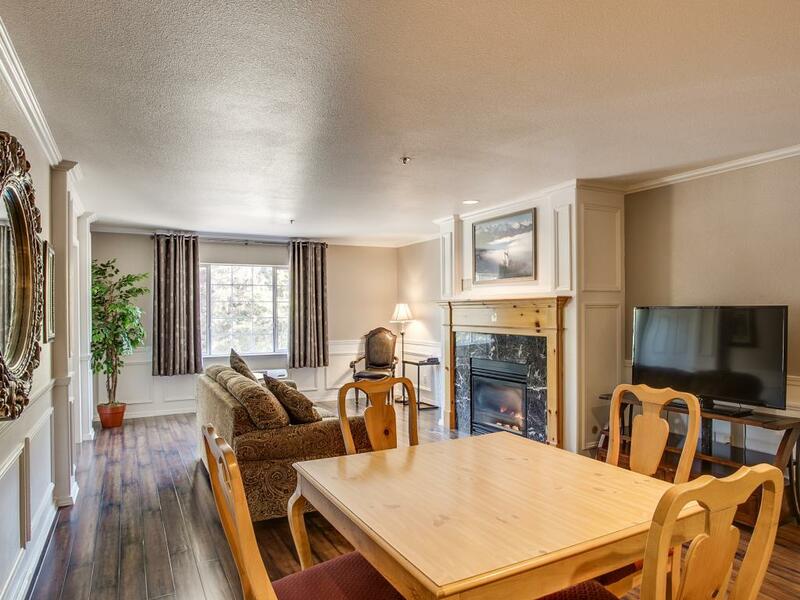 Accommodates 2 and is accessible by stairs only. 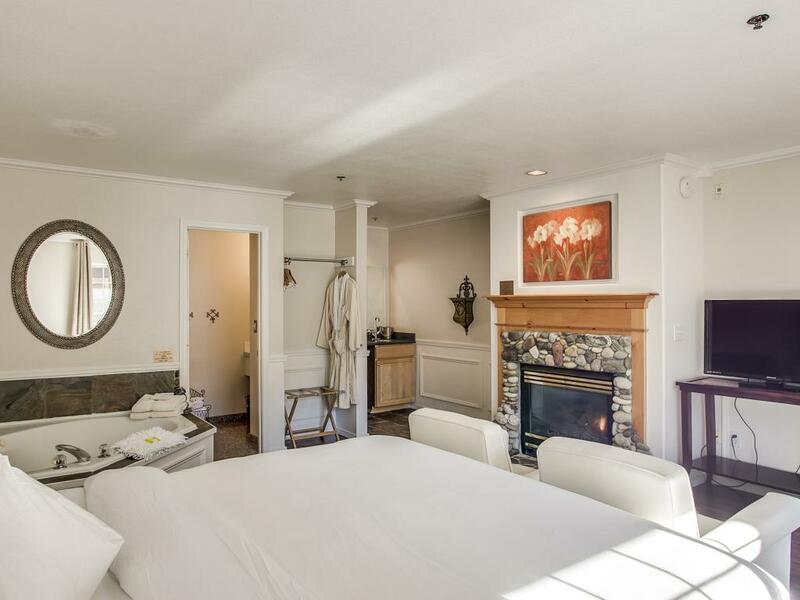 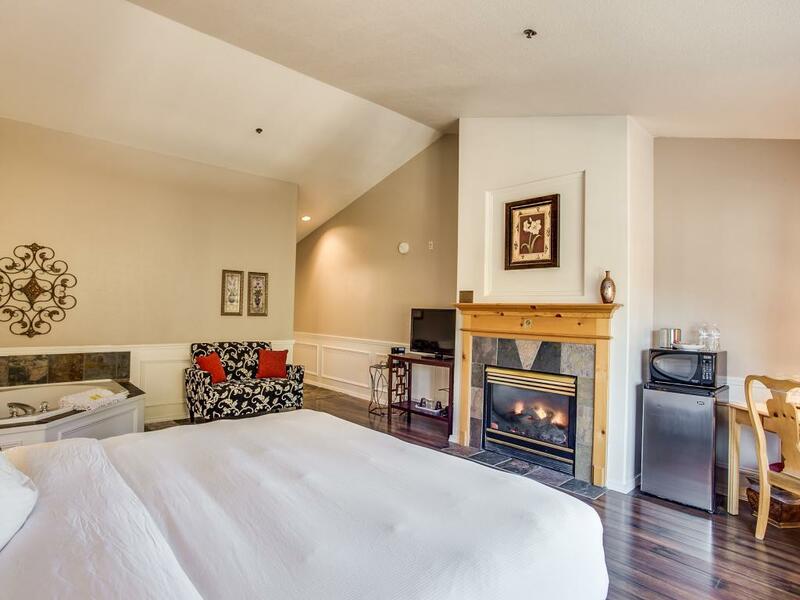 One room Suite with King bed dressed in high thread count sheets and down comforter, gas fireplace and over-sized tub with jets. 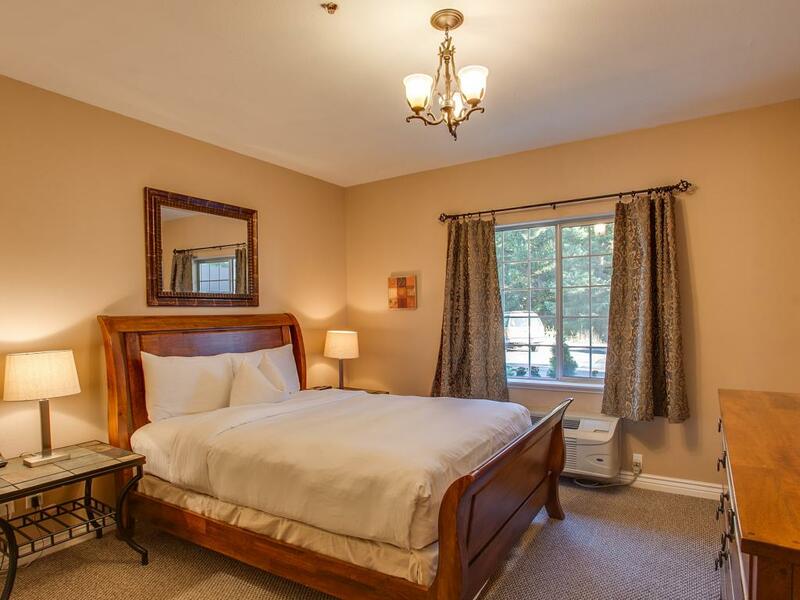 Flat screen television, microwave, mini refrigerator and coffeemaker is offered in this room. 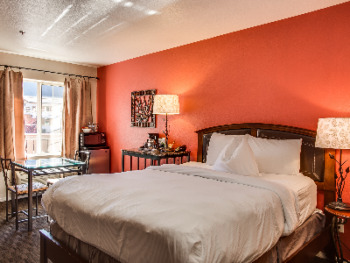 Accommodates 1-2. 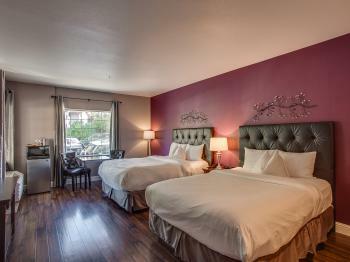 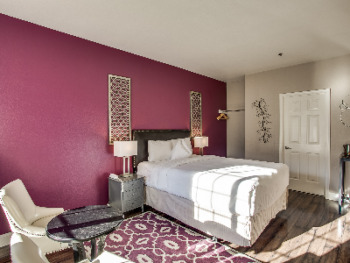 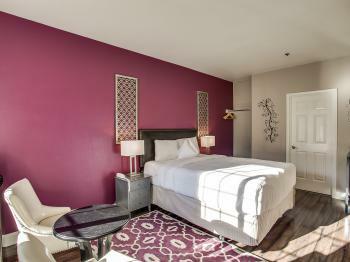 Deluxe room with one queen bed featuring high thread count sheets and down comforter. Flat screen television, microwave, mini refrigerator and coffeemaker is offered in this room. 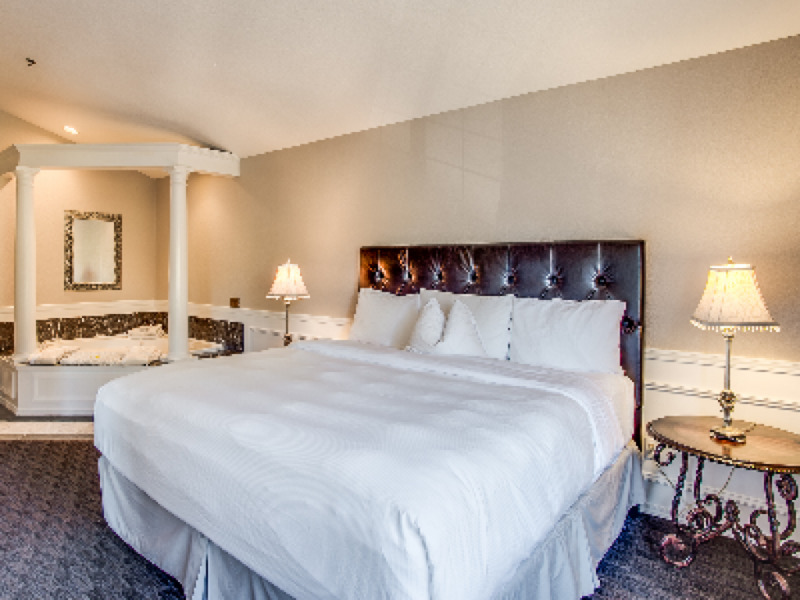 Accommodates 1-2. 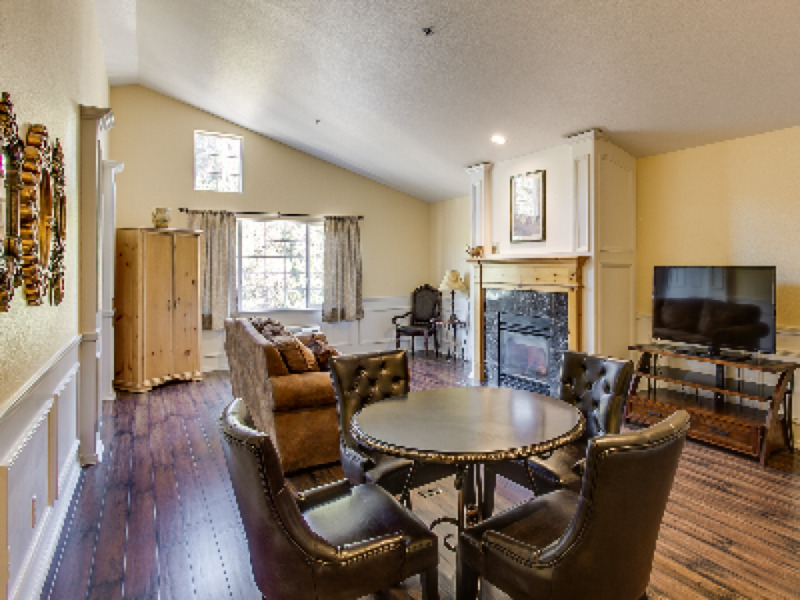 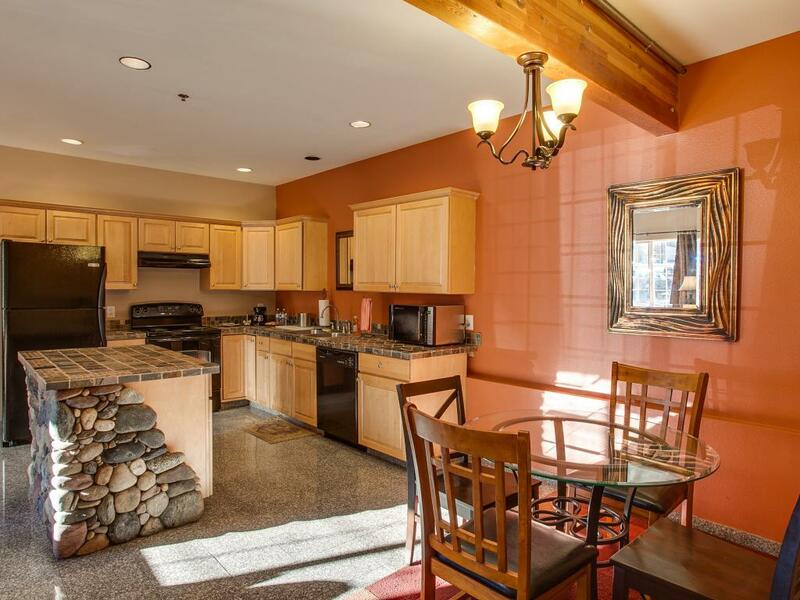 This 1st floor suite offers a full kitchen with slate countertops, dining area and living room featuring a sofa, electric fireplace and flat screen television. The separate bedroom features a flat screen television and queen sleigh bed dressed in high thread count sheets and down comforter. A microwave, coffeemaker and full size refrigerator with freezer is offered in this room. 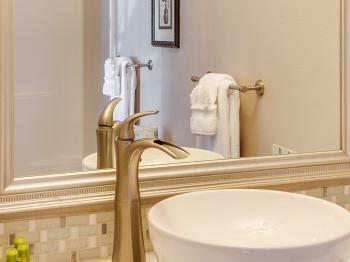 Accommodates 2. 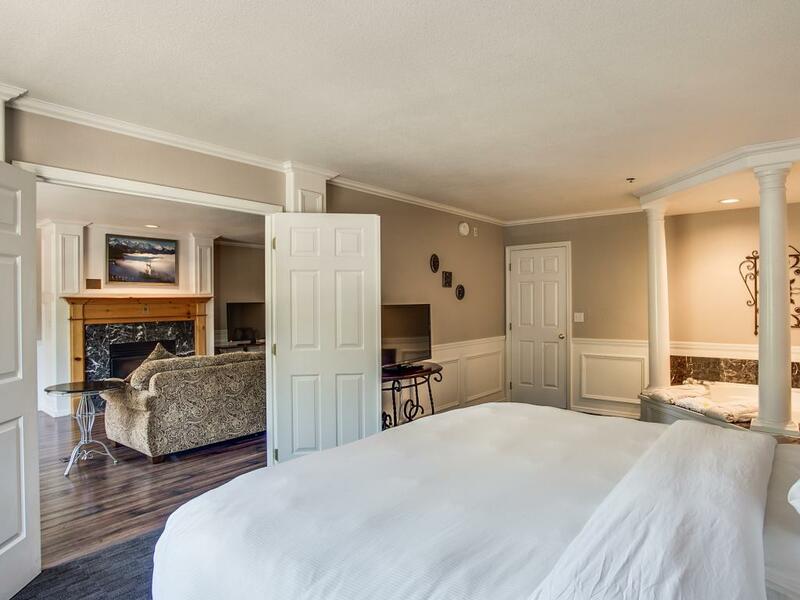 The very heart of Leavenworth is just outside your door. 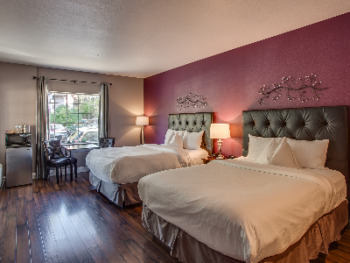 A few steps and you are on Leavenworth's main street featuring tasting rooms, Icicle brewery, restaurants, shops and festival celebrations. 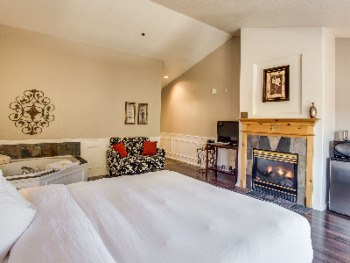 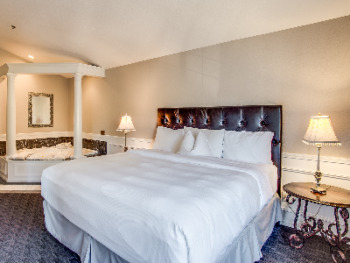 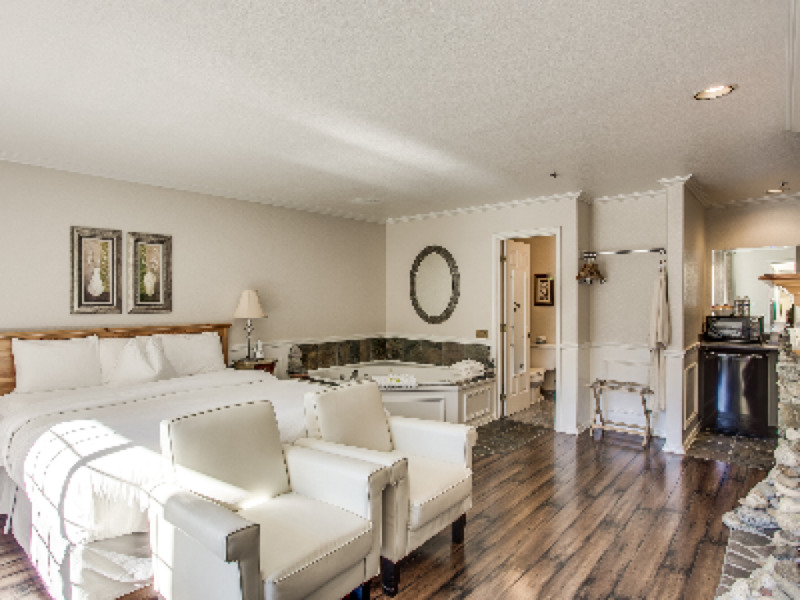 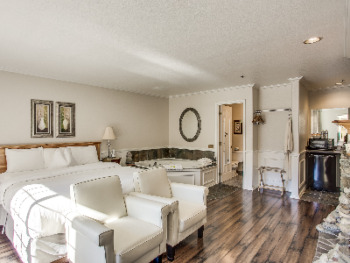 Whether you reserve one of our well appointed suites with a jetted tub and gas fireplace or a deluxe guestroom, each of our rooms have been attentively refurbished providing luxurious touches with plush comfort. 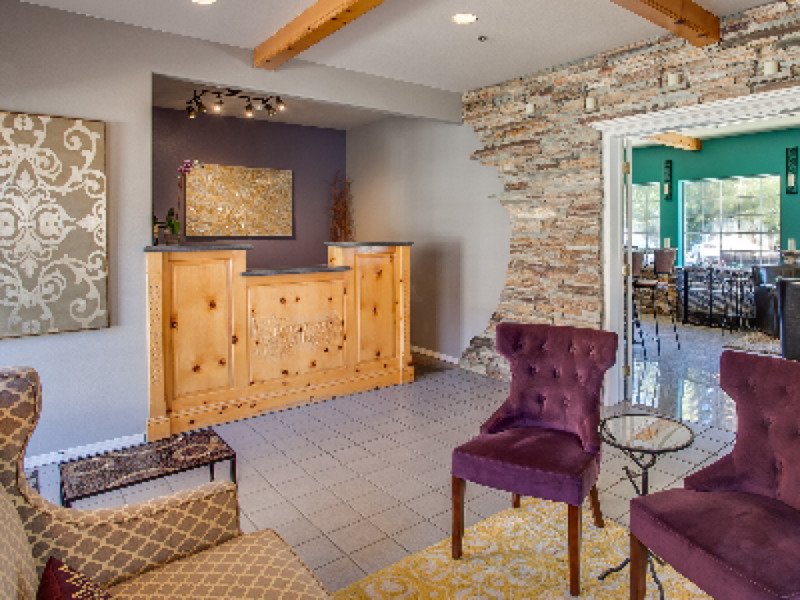 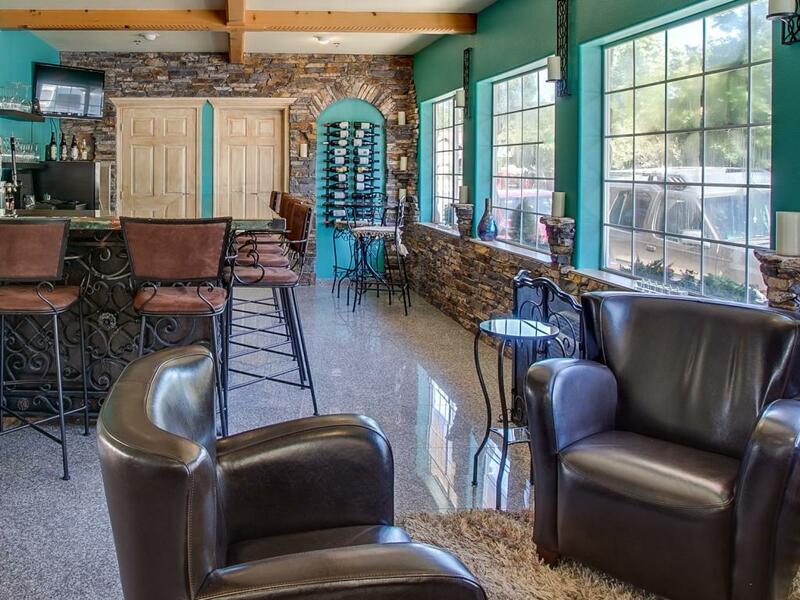 Our winebar allows for a bit of easy relaxation. 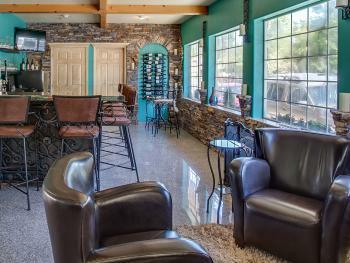 Every reservation includes WIFI and Parking.